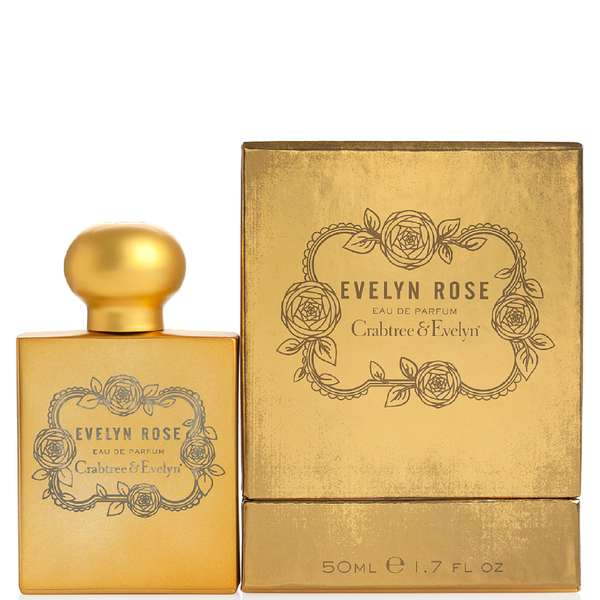 Discover the luxurious Crabtree & Evelyn Evelyn Rose Eau de Parfum; a feminine, floral fragrance that exudes elegance and sophistication. 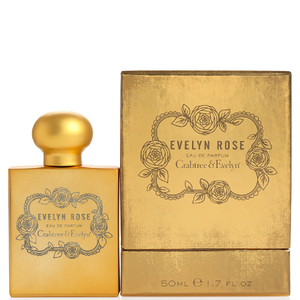 Developed using an innovative extraction technique to capture the Rose in full bloom, the graceful perfume opens with notes of juicy Bergamot and Peach Nectar, accentuated by bouquets of Rose, Jasmine and Violet, before settling on warming Amber, Cedarwood and creamy Vanilla. Presented in a vintage, gold-toned bottle with decorative cartouche detailing. Top Notes: Peach Nectar, Bergamot, Leafy Greens. Heart Notes: Rose, Jasmine, Violet, Magnolia. Base Notes: Amber, Cedarwood, White Musk, Vanilla. Apply to pulse points for a long-lasting fragrance experience.